Here’s a pretty cool deal for crafters. Get the Sizzix Big Shot Starter Kit for $92.79 shipped (regularly as much as $179.99). Note that this item ships within 1-4 weeks. 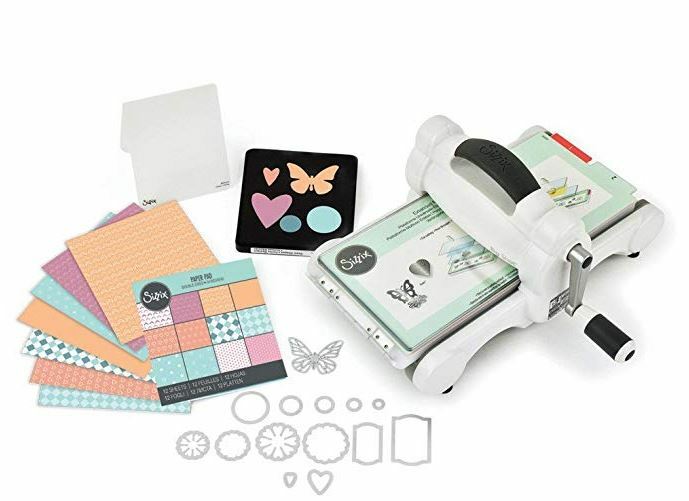 This starter kit comes packed with the Sizzix Big Shot machine, an extended multipurpose platform, a pair of cutting pads, one BIGZ die, embossing folder, 14 Thinlits Dies, and 12 double-sided cardstock sheets. You’ll get all the essential products you need to start making your own cards, invitation, quilting pieces, and more.